It’s always a joy to see a client’s branding get built from the ground up, but when you also get to see their actual space from the ground breaking to opening day at the same time, it’s even more special. I met Chelsey and Sue through a mutual creative friend here in Tulsa and at the first meeting, I knew these two were serious about what they wanted to create and how they wanted to impact Tulsa and Muskogee. 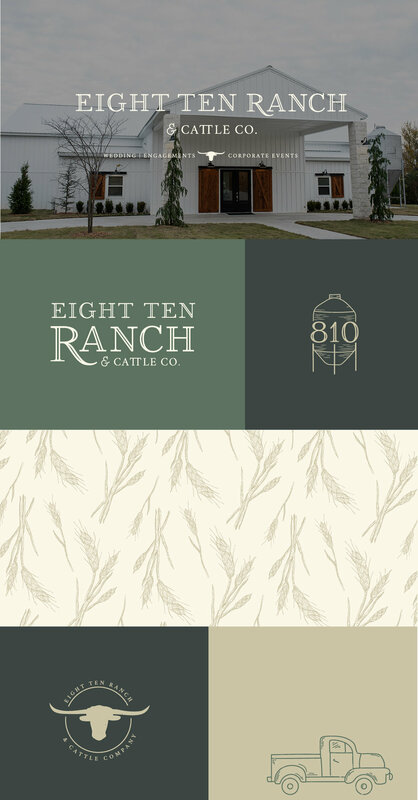 Eight Ten Ranch and Cattle Co was an idea that was born out of years of looking at the same piece of land in Muskogee. Sue and her husband has their eye on this piece of land for years, until finally in early 2018, their offer was accepted. 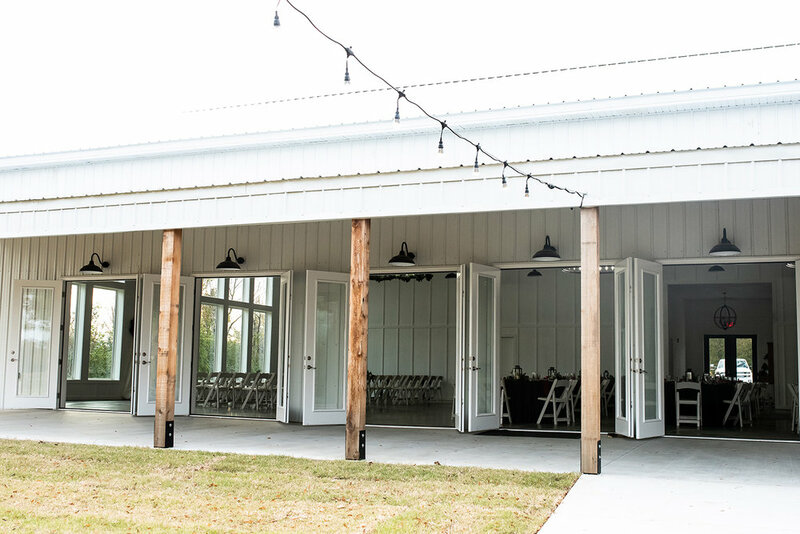 They had planned to build their forever house on the land and have space for cattle and their kids and grandkids, but with entrepreneurial minds and a desire to share this piece of paradise with others, the idea for creating a wedding and event venue was born. 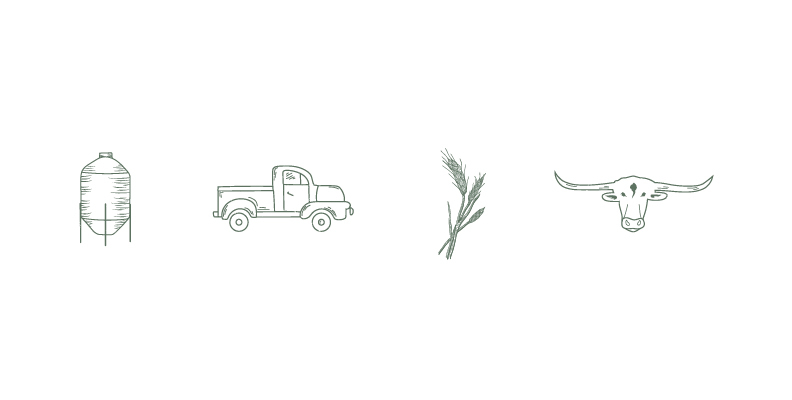 As we went through the discovery process for Eight Ten Ranch, we had several goals. To establish 810 as a premier location for weddings and events, to highlight the years of experience with events and catering, and to highlight the flexibility and adaptability of the venue. With that we created their keywords and found the season. Their keywords were: Classic, hospitable, rustic, warm, dependable, professional, adaptable, farmhouse. These and our overall vision for their style put them in Summer with an undertone of Fall. That meant that their logo needed to come off elegant, quality, and detailed, while also having warmth and friendliness to it. After talking about things that were unique and important to the venue itself, they shared pictures of a grain silo they had on the land, as well as an old pick up truck that they had planned to be a backdrop for photos. With those two in mind, as well as their dream to one day have longhorn cattle on the property, we went to work creating elements that would work and align with their keywords and style. I created their main logo design from a hand drawn sketch of an idea for an open serif font that had a swoop in the R to bring in that elegant piece of summer. We didn’t want the logo to be too heavy, so the openness really helps it look lighter and more graceful, while also being warm. Their secondary elements and submark icons came from the pieces we had talked about on the property, and their pattern came from being based in Oklahoma, where hay is a popular resource. We worked with Jenna Schario on the messaging and created a tagline, mission statement and oneliner that aligned with their branding. We are so happy with how the branding turned out! We used it throughout their stationery suite and their website that you can check out here. And I can’t wait to see even more ways they use their brand in the future! To follow along with what they have going on, or to book a tour of the venue, check out their instagram and facebook . If you’re interested in working together or creating an authentic brand that aligns with your goals and personality. Get in touch! What can I do if my branding isn't working?